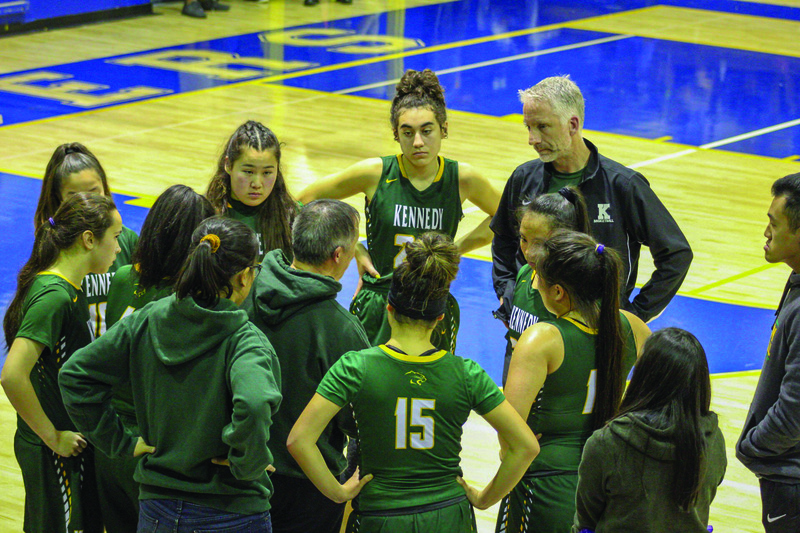 The Kennedy Boys and Girls basketball 2018-2019 season has officially ended, Kennedy Cougars (Varsity, JV, and Freshmen) can now look back over the season and reflect on their performances, and how they were able to build a strong foundation despite some bumps in the road. 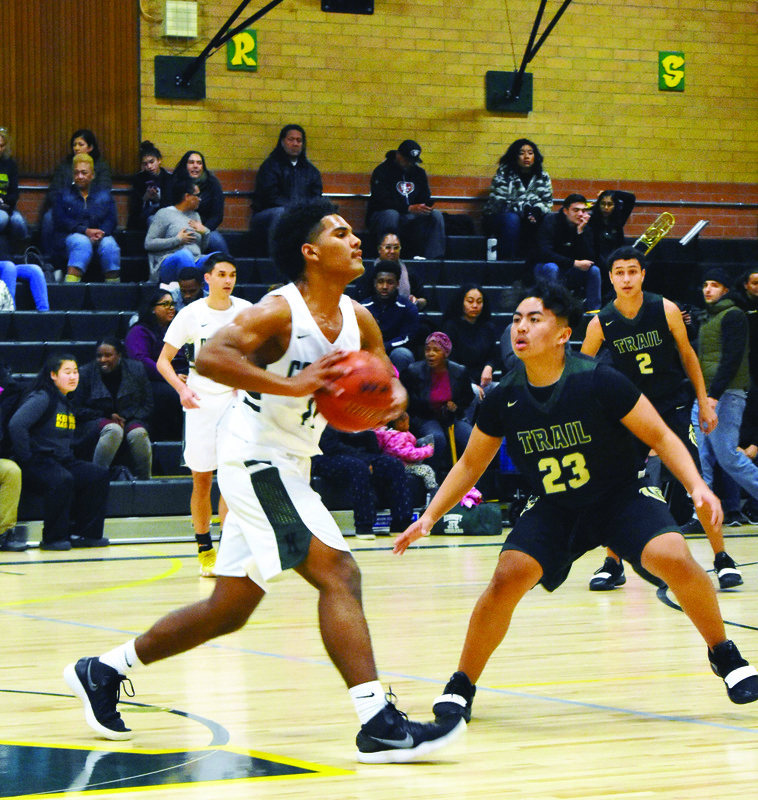 Kennedy varsity guard, Cristian Johnson c/o 2019 shown in contest again Monterey Trail. Photo by Baylee Phang, Kennedy Yearbook Staff. Kennedy girls varsity basketball players listen closely during a team huddle. Photo by Wendy Xiong, Clarion Staff. Freshman had an overall record of 9-14 and metro league record of 4-4 and Junior Varsity overall record of 8-15 and league record of 3-8. The JV squad bested their arch rivals CKM twice this season. 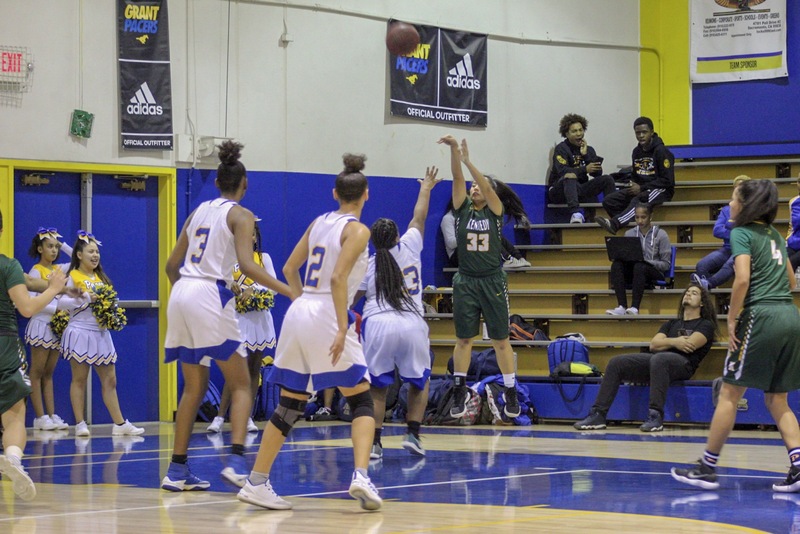 Kennedy girls varsity basketball, Nikki Tanaka c/o 2020 attempts a three-point shot against Grant H.S. Photo by Wendy Xiong, Clarion Staff. Girls Junior Varsity registered an above .500 overall record of 11-10 and metro league record of 7-4. Girls Junior Varsity has come a long way, building character, skill and much more learning and improving year after year continuing to learn from games, mistakes, and themselves. Can Humanities STEM Job Security?